Dr. Marcia Matika always appreciates feedback from her valued patients. To date, we’re thrilled to have collected 21 reviews with an average rating of 4.9 out of 5 stars. Please read what others are saying about Dr. Marcia Matika below, and as always, we would love to collect your feedback. My 13 yo daughter and I really appreciated how nice Dr. Matika and Stephanie were during the appointment. She really liked that Dr. Matika was clear and understandable in everything she told her. I was very appreciative that Dr. Matika seems to lean towards a minimal approach to helping my daughter through her issues and not pushing for anything drastic. We both felt comfortable, and we'll both be returning. Thank you! Dr.Matika was very personable and listened to what my issues where. She took the time to explain what she saw on my xrays and the approach she wanted to take. Dr Matika was very knowledgeable and quite personable. I return in a couple of weeks to see if ive made any progress. Great doctor. Friendly & knowledgable. I recommend her highly. Dr. Matika really cares about her patients. When I left I was feeling no pain. My foot feels great and I only wish I had gone to her sooner. Looking forward to going back to see her and report the great results! Overall fabulous ! Doctor spent quality time with me. Staff was helpful and very nice. Dr. Matika and her staff were so nice. The office was so clean. She took the time to explain everything. She was so personable. I'm so happy I found her. She addressed my problems immediately and i should be as good as new in no time! Every visit with Dr. Matika has been a pleasant experience. Her appointments run on time, and I am treated with kindness and professionalism. Simply terrific in every way. LOVED the online booking! My visit with Dr. Matika was excellent. Happy to have found her. I always receive a warm greeting from the doctor and staff. Scheduling appointments on the web is fast and easy! 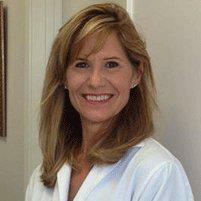 Dr. Matika was very thorough, knowledgeable and approachable! She gave me all the time and attention my case deserved. Thanks again Dr. M!! Very caring, she came highly recommended and deservedly so! Dr. Matika is fabulous ! She has great bedside manner!! Very nice & knowledgeable doctor. Would definitely recommend her to others. Dr Matika and her staff provided me with a warm greeting and considerate care in a comfortable environment. I recommend the Good Doctor wholeheartedly to any seeking Podiatric care! Felt very welcomed. Dr. Matika came out and introduced herself. As a New patient it is great. The staff is friendly and helpful. Dr. Maitika is very professional.